Home Al Jazeera South Africa: An economy under threat? South Africa: An economy under threat? The BRIC nations, Brazil, India, China and Russia, once aimed to distance themselves from the economic woes of the West. A few years ago, BRIC became BRICS with the addition of South Africa. But Africa’s second largest economy is not in good shape: the South African economy only grew 1.5 percent in 2014, its slowest pace since 2009. One factor was the labour strikes in the mining sector, but more recently, power cuts have become a serious issue. In fact, things looked so bad for the country’s largest power generator Eskom, the South African government had to provide a $2bn bailout. The financial services group Efficient believes the economy has lost $25bn since 2008 because of electricity shortages, or, put another way, one million jobs which are desperately needed in a country where unemployment is at 25 percent. There are concerns on how all this will impact South Africa’s National Development Plan, which is looking to spend $72bn over the next three years on infrastructure. And on top of all that, South Africa’s debt status could be cut to junk by the ratings agencies and the finance minister needs to slash the country’s public-sector wage bill. 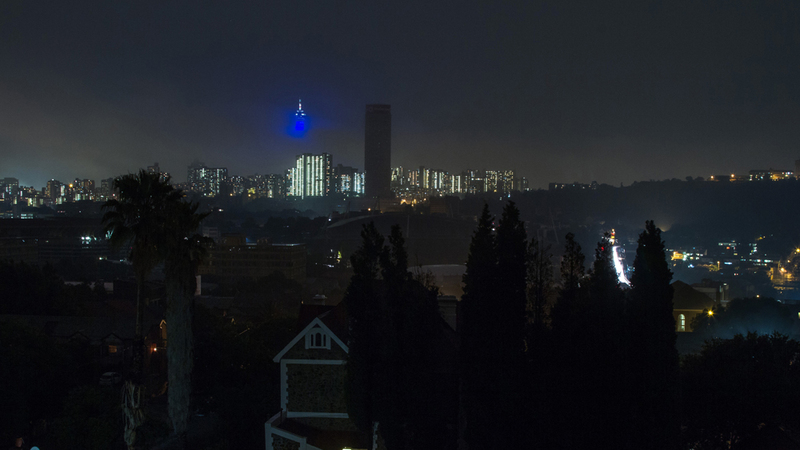 So, what will it take to switch South Africa’s lights back on? Is South Africa at the brink of a serious crisis? And what can be done do to stop the downward slide? Al Jazeera’s Erica Wood reports from Johannesburg; and Ben Kruger, the co-chief executive of Standard Bank, talks to Counting the Cost about the state of the South African economy. The European Games, a new event on the international sporting calendar this year, will have its inaugural outing in Baku, the capital of Azerbaijan, in June: 50 countries, 20 sports, and 6000-plus athletes. But Azerbaijan, like so many nations dependent on commodities, has got some problems right now. Oil makes up 95 percent of Azerbaijan’s exports and 75 percent of its revenue. So with the price of oil as low as it is, that spells trouble. The currency has been devalued by one-third, budgets are tight – all at a time when Azerbaijan wants to show off its capital city to the world. Simon Clegg, the chief operating officer of Baku 2015, spoke to our sport presenter Joanna Gasiorowska about the importance of these games to Azerbaijan. It has been well-documented how so many of our smartphones and other gadgets are manufactured in China these days. But Vietnam is emerging as an alternative to China, with its tax incentives, and cheaper workforce. Al Jazeera’s Scott Heidler reports from Hanoi. While carmakers are showing their newest models at the Geneva Motor Show, tech giants Apple, Google and Uber are developing their own autonomous vehicles. Can they challenge the big players in the car business and how will it impact the traditional car industry? Carlos Ghosn, the CEO of Renault Nissan, talks to Counting the Cost about the future of the car industry. The post South Africa: An economy under threat? appeared first on African Media Agency.